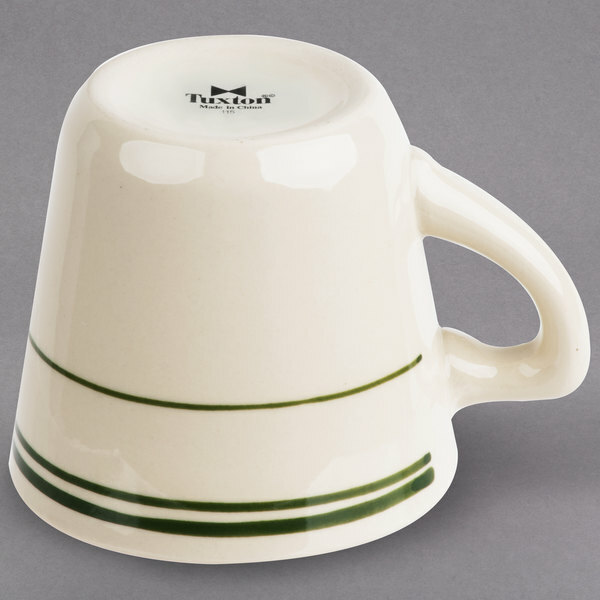 Bring a soft, simplistic touch to your establishment with the Tuxton TGB-001 7 oz. 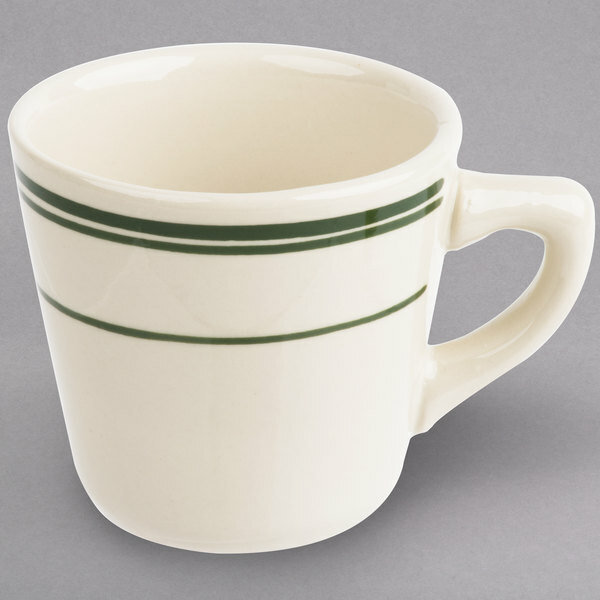 Green Bay ivory (american white) china tall cup. 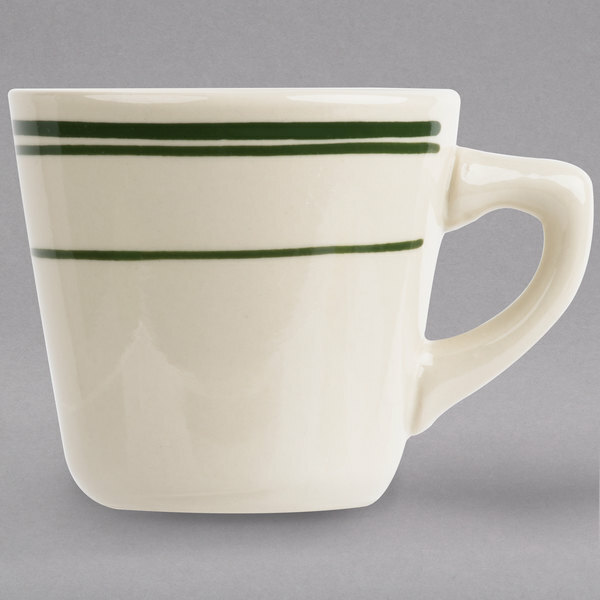 Great for serving your signature coffees, lattes, and herbal teas, this cup is a must-have addition to your dinnerware collection. 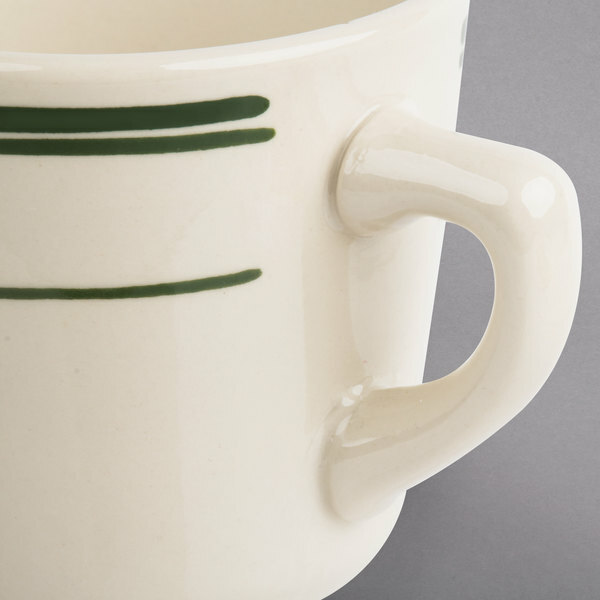 Boasting a warm, ivory color and a classic, rolled edge, its emerald green bands add a subtle touch of color to your tablescape to ensure your best foods stand out. Perfect for diners, restaurants, or cafes, this piece's traditional yet stylish look is sure to elevate your dining presentation. 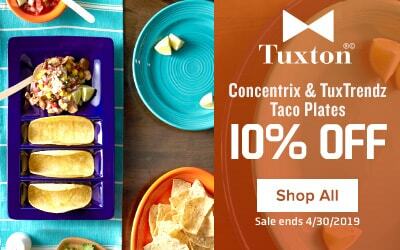 Tuxton is an industry leader in creating outstanding china by providing products that last, without sacrificing aesthetic appeal. 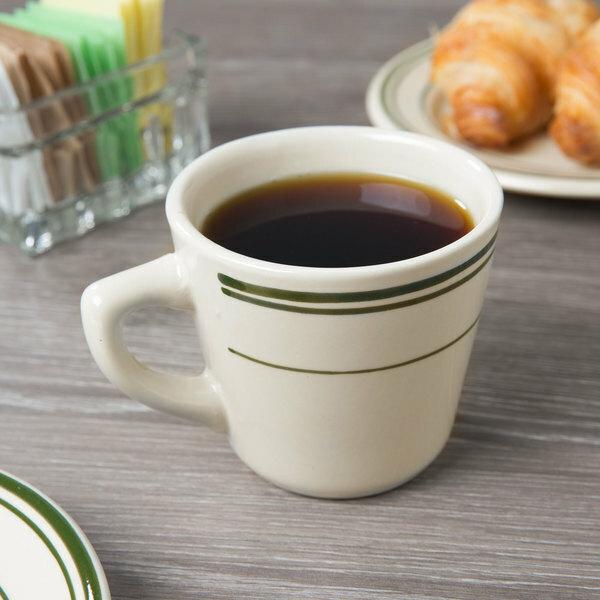 Featuring a form that is as sturdy as it is stylish, this china cup is fully vitrified to prevent moisture absorption. 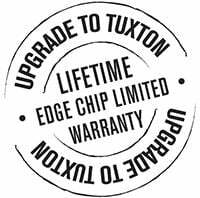 With its high resistance to thermal shock, this durable piece stands up against breakage, chipping, and scratches commonly caused by the wear and tear of every day use, and is even backed by Tuxton's lifetime chip edge warranty. 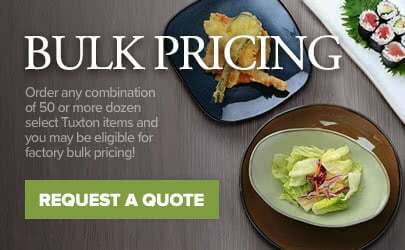 No matter what you're serving, the warm, comforting simplicity of the Tuxton Green Bay line is sure to enhance any dining experience.